Hanover has hired senior Bloomberg journalist Gonzalo Vina to bolster its corporate reputation offering. Vina joins as an associate director in Hanover’s reputation practice, charged with further boosting the agency’s focus on corporate reputation issues and growing its international work. He has worked at Bloomberg for nine years, serving as a correspondent focussing on UK politics and economics. Previously he spent eight years focussed on foreign exchange, bonds and commodities for Dow Jones. 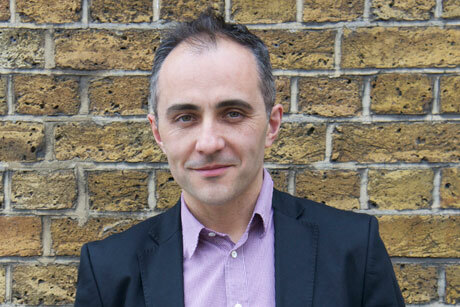 Reporting to practice lead, Gavin Megaw, he will work across a range of the agency’s corporate clients. Hanover has recently won corporate business with major financial services organisations including the Financial Services Compensation Scheme and The Association for Financial Markets in Europe. Megaw commented: ‘Gonzalo possesses all the classic skills of a good PR: speed, attention to detail and an eye for a story. Megaw himself was hired from The Football League in 2011 to help broaden Hanover’s focus from public affairs to encompass corporate reputation issues. The agency has also hired Paula Nugent, a former PR executive at law firm Field Fisher Waterhouse, as a consultant. Independently-owned Hanover was founded in 1999 by Charles Lewington, the former press secretary of Prime Minister John Major. The agency’s client list includes BSkyB, Lloyds Banking Group, Microsoft and Goldman Sachs.